Group 15 called us in to take care of a rental property for a deep and invigorating clean. As you can see from the picture above, this particular area was in need of special attention. The black stains were scattered throughout the entry way but with the proper cleaning process, we were able to fully remove them! The tenant was extremely pleased, as were we! Moss, Mould, Lichen or Algae? Congratulations to our very own Elizabeth Ravaioli! John Naperville on Common Questions about Hardwood Floor Refinishing, Answered. Aaron Curtis on Does Your Carpet Cleaning Professional Use This 4-Step Process? 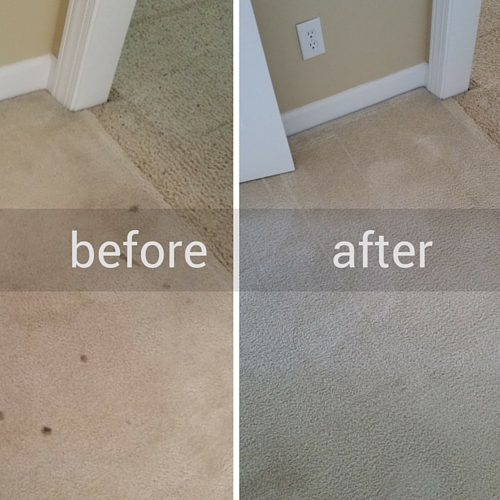 Ashfield on Does Your Carpet Cleaning Professional Use This 4-Step Process?